This is a genuine replacement part. 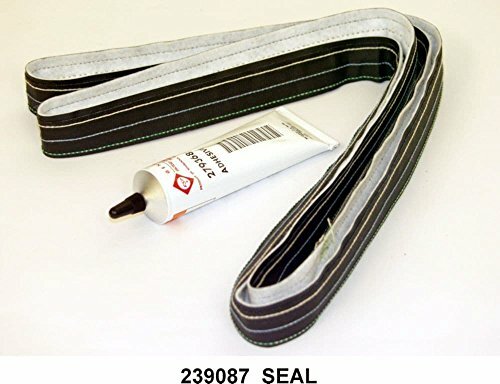 The model number and name for the following item is: Whirlpool 239087 Rear Drum Felt Seal with Adhesive. 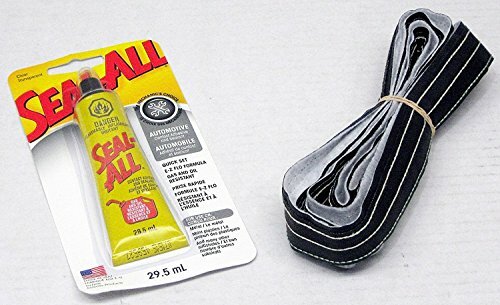 279408 Rear Drum Seal Package Whirlpool Dryer Rear Drum Seal Rear drum seal with adhesive for large capacity models. Length = 79.5" Fits drum which are 25" in diameter. Replaces 279408, 347885, and DE768, 83-408 Fits drum which are 25" in diameter. Genuine Original Equipment Manufacturer (OEM) parts! This manufacturer-approved drum rear seal (part number WP37001132) is for dryers. 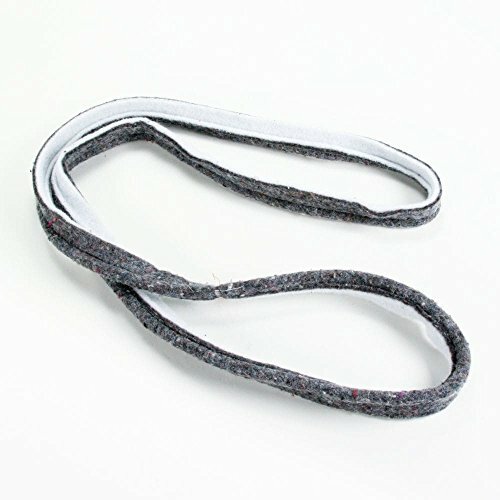 Drum rear seal WP37001132 creates a flexible seal between the back of the drum and the dryer rear panel. Disconnect the power before installing this part. Wear work gloves to protect your hands. For Amana, Speed Queen, & Maytag. Genuine Original Equipment Manufacturer (OEM) parts! This manufacturer-approved drum rear seal (part number WP33001807) is for dryers. Drum rear seal WP33001807 creates a flexible seal between the back of the drum and the dryer rear panel. Disconnect the power before installing this part. Wear work gloves to protect your hands. For Maytag & Crosley. Genuine Original Equipment Manufacturer (OEM) parts! 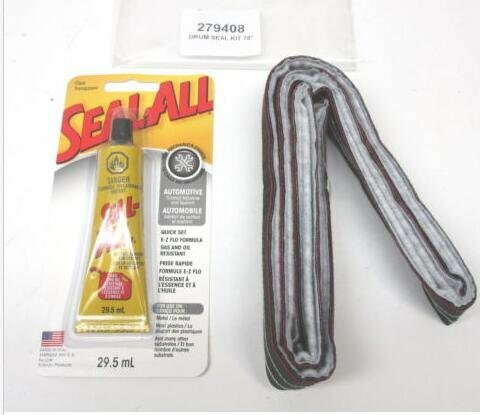 This manufacturer-approved drum rear seal (part number 239087) is for dryers. Drum rear seal 239087 creates a flexible seal between the back of the drum and the dryer rear panel. Disconnect the power before installing this part. Wear work gloves to protect your hands. For Kenmore. 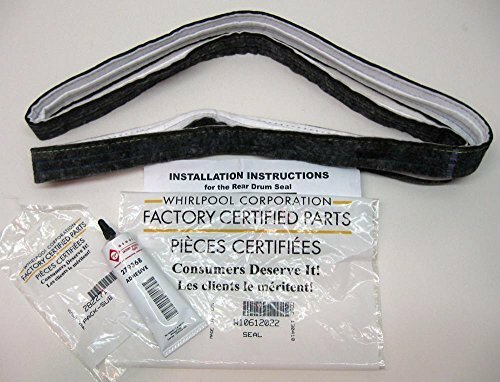 Genuine Whirlpool FSP; part number W10612022. This is a O.E.M. 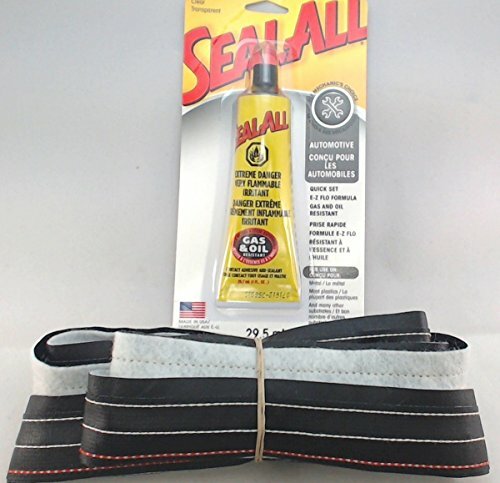 part This Rear Drum Felt Seal Kit includes cement adhesive and installation instructions. 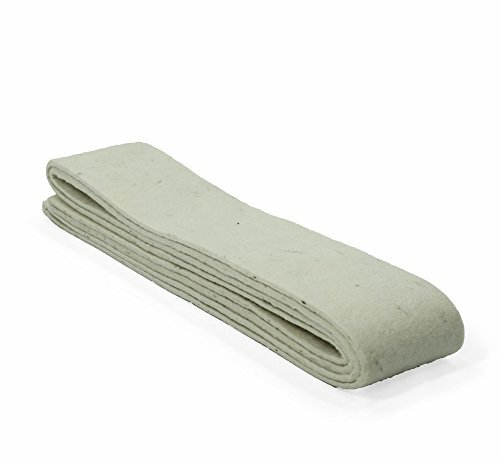 This felt can be identified by the color of stitching on the edge nearest the drum and this felt is stitched in "green-blue-white". The diameter of this is 25" and total length is 79" Replaces the numbers AP3094267, AP5737110, PS334327, PS8691753 and 279857. Fits specific Whirlpool manufactured dryer models. 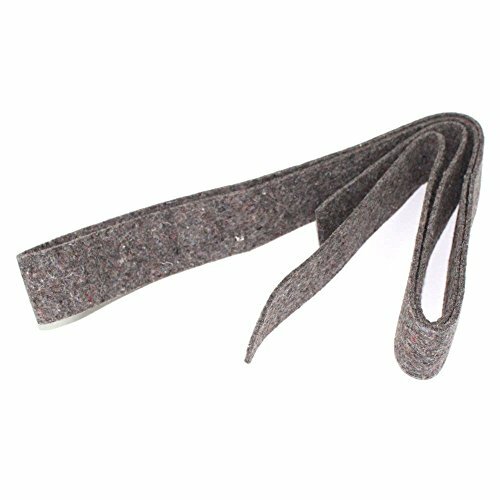 Copyright © Wholesalion.com 2019 - The Best Prices On Dryer Rear Drum Seal Online.